(17/P7) TRENTON – The Department of Environmental Protection’s Green Acres Program has completed the $620,000 purchase of a wetlands area along Delaware Bay in Cumberland County that will protect habitat for waterfowl and other wildlife. The DEP used $462,000 from the U.S. 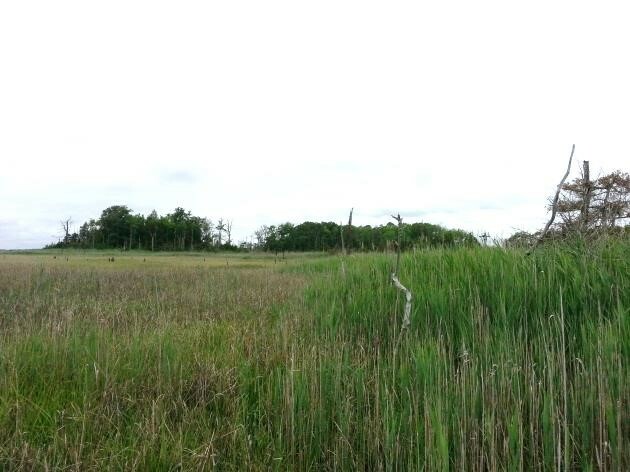 Fish and Wildlife Service National Coastal Wetlands Conservation Grant Program and $158,000 from the Green Acres Program to purchase 204 acres of bay wetlands and upland buffers in Maurice River Township. 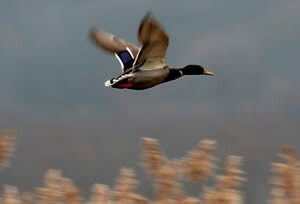 The land will be added to the New Jersey Division of Fish and Wildlife’s Heislerville Wildlife Management Area. Ecotourism is a growing industry in New Jersey, especially in places such as the Delaware Bay region, where nature lovers converge to watch migrations of shorebirds, birds of prey such as eagles, osprey and hawks, and even butterflies and dragonflies. The Delaware Bay region is home to the state’s largest concentration of bald eagles, and is a critical stopover for migrating shorebirds. “The New Jersey Outdoor Alliance congratulates the Green Acres Program for their continuing work to acquire critical Delaware Bay Habitat. The acquisition of this sensitive habitat is a win for both wildlife and the residents of New Jersey,” said Edward Markowski, Environmental Projects President for the New Jersey Outdoors Association. The Heislerville Wildlife Management Area currently protects 7,231 acres of Delaware Bay shoreline, wetlands and uplands – including some of the most important beaches used by migrating shorebirds such as red knots, which fuel up on horseshoe crab eggs as they fly to breeding grounds as far north as the Canadian Arctic. Although comprised of numerous separate parcels, the Wildlife Management Area includes two major sections. One flanks the east bank of the Maurice River and fronts a portion of Delaware Bay known as Thompson’s Beach, and the other is just to the east, along a gently curving swath of nearly pristine bay front that includes Moore’s Beach. The Maurice River is on the federal inventory of National Wild and Scenic Rivers. The Wildlife Management Area provides numerous parking areas and access points for recreational activities, as well as a boat ramp. The Wildlife Management Area also offers an auto-trail driving loop. The area around the Maurice River is an important wintering area for birds-of-prey, also known as raptors, including numerous pairs of bald eagles. The U.S. Fish and Wildlife Service provides grants up to $1 million for the purposes of acquiring, restoring or enhancing coastal wetlands and adjacent uplands to provide long-term conservation benefits to fish and wildlife habitats. The program is funded through taxes paid on equipment and fuel purchases by recreational anglers and boaters.